A top NHL prospect, Heiskanen finished the 7-2 win with four assists. He run Finland’s power play really well, making quick plays, plus his first pass out of the zone was constantly excellent. He delivered crisp passes which were easy for the forwards to receive. He also carried the puck up the ice confidently. An excellent skater, Heiskanen was able to angle opponents effectively. He is a solid one-on-one defender because of his sound positioning and active stick. Heiskanen played 22.34 – the most of all HIFK players – in their 3-2 win against Tappara. He played in all situations: 5 vs 5, power play and shorthanded and was quite simply the best HIFK player on the ice. Heiskanen seems to always make the right decisions and positions himself very well in all situations. He is not very physical nor does he lay hard hits but his gap control and use of his stick are very impressive. He also constantly outskates the opponent. The defender can also make offensive plays. He sees the ice very well and can identify when to give breaking pass, bring the puck up with skating or cycle back when the road seems to be blocked. He makes himself constantly playable in the offensive zone and can deliver the puck to the net through traffic. Heiskanen once again showed that he is a great skater and he was able to show flashes of his offensive skills even though the game was played at the small rink. However his weaknesses were also evident and the defender was occasionally in trouble at the own end, especially at the boards and in front of goal. This part of his game should improve greatly when he fills up his frame. Heiskanen should be a key player during the next World Junior Championships if his game continues to develop at the current speed. Despite the loss, Heiskanen once again played a good game in HIFK’s Liiga team. He is already one of the fastest players on ice and even though he needs to fill up his frame and improve his defensive awareness, he does well at the own end due to his impressive skating. His skating, puck-moving skills and good vision makes him really inquiring prospect for the 2017 draft. 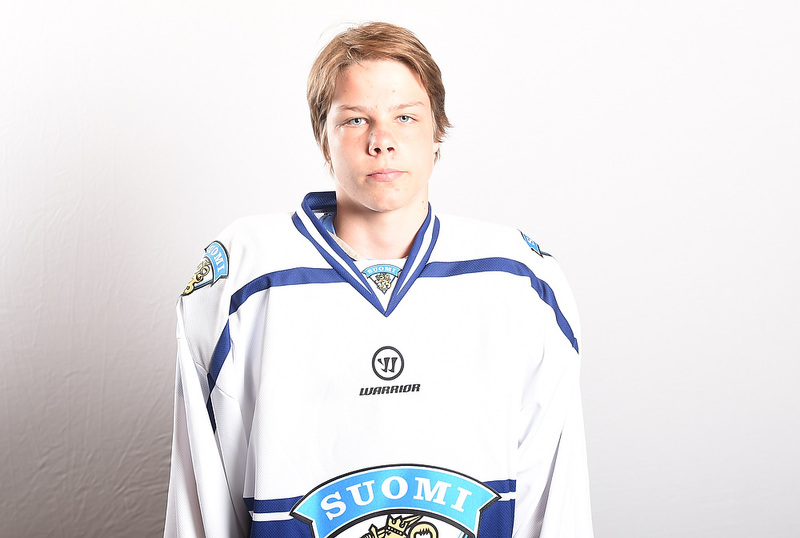 The 17-year-old defenseman played a very strong game for HIFK. His passes were consistently accurate, crisp and easy to receive. His skating was really fluid, he’s extremely agile on his skates and can stop and start quickly. Decision making was impressive and he made a couple of nice plays with his stick defensively. Heiskanen played his first game with HIFK’s men’s team and was put straight to the first pairing. He handled the duty very well and didn’t look at all out of place against grown-up pros. He played a bit cautiously but didn’t make any mistakes either. He also quarter-backed HIFK’s power play nicely, although it didn’t show on the scoresheet this time.